You’ve finally completed your book. You’ve had it critiqued – brutally – and done more revisions than you care to count. Your proofreader has made sure there’s not a single error in the entire manuscript, and now you are confident that your work is ready to be published. What next? Obviously, you need an agent. So, after searching AgentQuery for agents representing your genre, and consulting Jeff Herman’s Guide and the most recent Writer’s Digest, you are sitting down to compose the perfect query letter. Stop. You’ve skipped some steps. Before you can even think about contacting an agent, there are several important questions you must be able to answer. Why? Because, if an agent calls you, she or he will ask them. (I know this from painful personal experience.) You must be prepared to reply with compelling answers. This short quiz will tell you if you are ready to take on the publishing industry. If you scored a hundred, congratulations! You are ready to contact an agent. If you answered, “I don't need to do that,” “I can't do that,” or “Huh?,” to any of the above questions, then get to work! 1) Fortunately, there are a many good books about pitches and proposals. I recommend Michael Larsen's How to Write a Book Proposal. (This book is also useful for fiction.) Larsen really understands the publishing industry, so you can rely on his advice. To get the hang of preparing pitches, start with a pitch for a book you haven't written. If your one-sentence hook can make your friends want to read the book, then move on to pitching your own work. 2) To determine your demographic, check the Alexa ranking for every well-trafficked website related to your genre or field. Alexa includes a demographic profile for high-ranking sites. Identify all the organizations or groups that might have an interest in your topic. What is their membership? 4) Building a platform takes time. But you can accumulate 10,000 page views in a few months if you blog about interesting topics – and if you do some social networking. Advertise your blog posts on Facebook, Goodreads, and LinkedIn groups. You can precycle your posts on blogs that get more traffic than yours. You can recycle your blogs, as well, on sites that accept reprints. Look up the "Top 50 blogs" in your genre on Blogrank and read them! High-ranking blogs invariably contain lots of insider tips, trends, news, and industry gossip. 5) Getting writers to harbor a consuming lust for anything other than writing is a tall order. Writers are an idealistic lot, deeply committed to exploring the human soul while crouched in front of a keyboard in a dim, unheated garret. 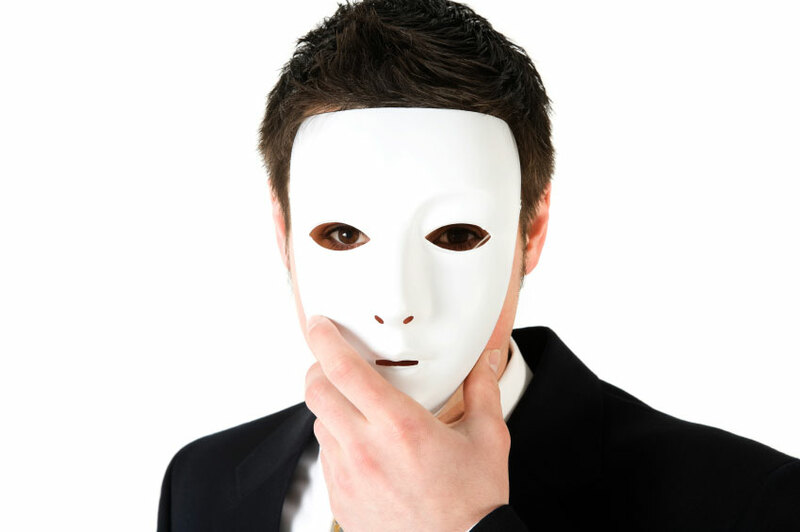 Before you contact an agent, you need to go through a metamorphosis – from idealistic writer, to practical businessman. When your agent asks if you will do anything to sell your book (mine did), there can only be one answer. What Did Stephen King Read as a Child? Stephen King - he's smart, he's successful and he says exactly what he thinks. He also grew up without a TV. That explains a lot. 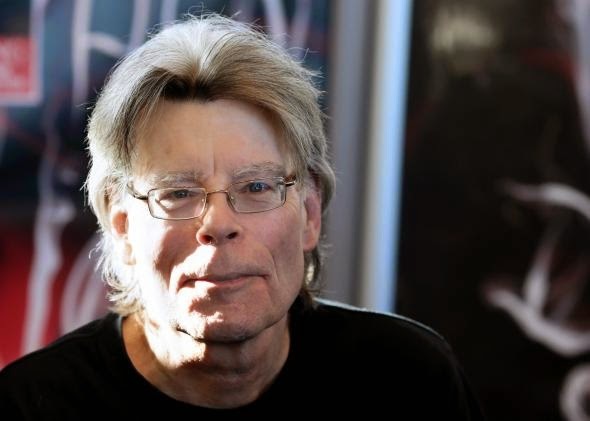 Sunday’s PARADE features a rare interview with master storyteller Stephen King. His new novel, Joyland (a paperback original due June 4), follows lovelorn college student Devin Jones, who, while working at a small-time amusement park, learns the secret history behind a shocking murder. In the exclusive online extras below, King shares the horror classic his mom read to him as a child and his views on gun control, a subject he also addresses in the Kindle Single essay Guns. Be sure to check out this weekend’s issue of PARADE for the full story. 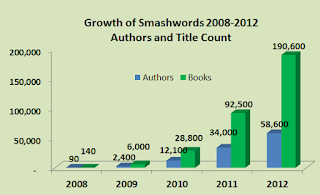 This must-read study was posted on Smashwords on May 8th. If you want to find out what the best price for an ebook is, if long books sell better than short books, how many book sell well, and what the average word count for the 60 bestselling Smashwords romance books is - go HERE. "Last year at the 2012 RT Booklovers in Chicago, I released a first-of-its-kind study that analyzed indie ebook sales data. Our goal was to identify potential factors that could help authors sell more ebooks. Last week at the 2013 RT Booklovers convention in Kansas City, I shared new, updated data in a session titled, Money, Money, Money — Facts & Figures for Financial Payoff. Now I'm sharing this data and my findings with you. Some of the results were surprising, some were silly, and some I expect will inform smarter pricing and publishing decisions in the year ahead. 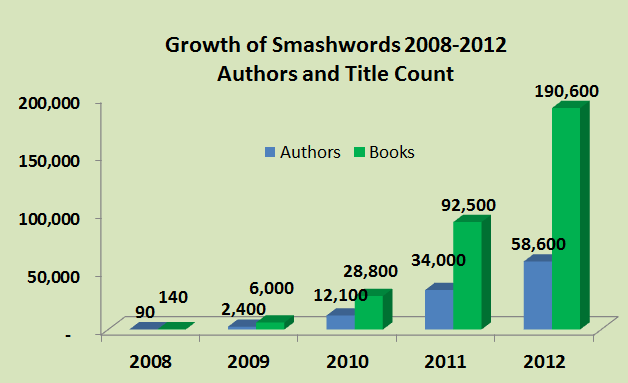 For the study this year, we analyzed over $12 million in sales for a collection of 120,000 Smashwords ebooks from May 1, 2012 through March 31, 2013. We aggregated our sales data from across our retail distribution network, which includes the Apple iBookstore, Barnes & Noble, Sony, Kobo and Amazon (only about 200 of our 200,000 titles are at Amazon). As the world's largest indie ebook distributor, I think our study represents the most comprehensive analysis ever of how ebooks from self-published authors and small independent presses are behaving in the marketplace." 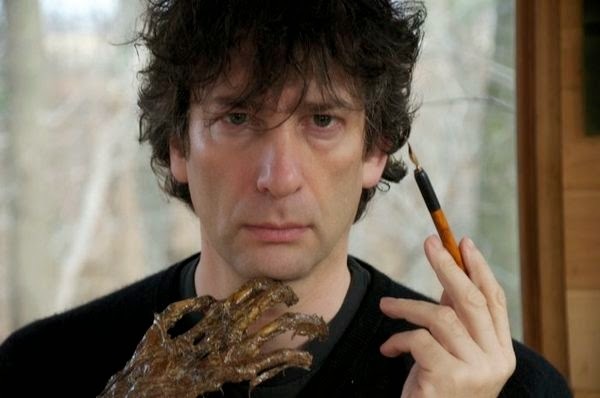 Neil Gaiman is one of the darlings of sci-fi. Like another British-born sci-fi darling, Douglas Adams, his wit is dry, and his prose whimsical. In this commencement speech, Gaiman, without wasting too many words, summarizes the craft of writing, which is to make art out of experience. For all young - and old - writers, wherever you are, watch this. Neil Gaiman has it down. "Whatever you do, you have one thing that is unique. You have the ability to make art. When things get tough ... make good art. Husband runs off with a politician ... make good art. Leg crushed and then eaten by mutated boa constrictor ... make good art. IRS on your trail ... make good art. Cat exploded ... make good art. Someone on the internet thinks what you are doing is stupid, or evil, or it's all been done before ... make good art. The one thing that you have that nobody else has is you. Your voice. Your mind. Your story. Your vision." At Publishers Weekly’s May 8 discussion series on trends in consumer book-buying, held at the offices of Random House in New York City, Carl Kulo, U.S. director of Bowker Market Research, highlighted the major shifts that took place in 2012 in such key areas as sales by format and by channel. 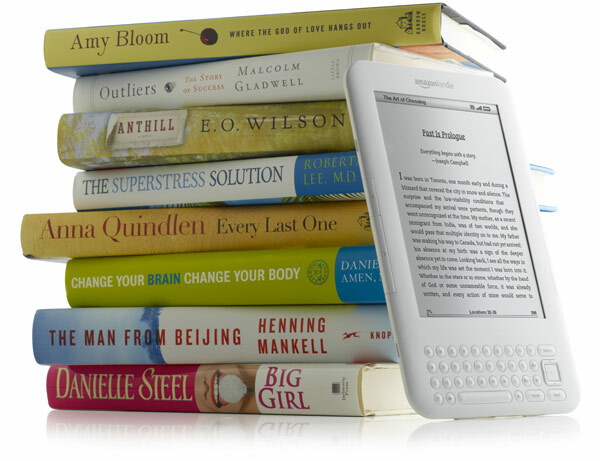 E-books captured 11% of all book spending last year, up from 7% in 2011, Kulo reported, while e-books accounted for 22% of units in 2012, up from 14% the prior year. In 2010, e-books accounted for only 2% of spending. Despite the gains made by digital, paperback remained the most popular format last year, accounting for 43% of spending, down one percentage point from 2011, while hardcovers represented 37% of dollar sales, down from 39%. The Great Gatsby hits theaters today, and, predictably, the paperback tie-in hit #1 on bestseller lists. But, F. Scott Fitzgerald never saw his book become a success. In fact, at his untimely death at the age of 44, he had earned a grand total of $13.13 in royalties. 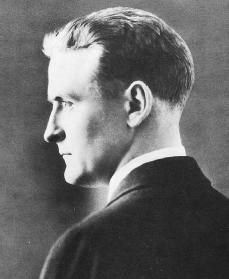 Read Newspaper Alum's great blog on why it took so long for F. Scott Fitzgerald’s masterpiece to make it to the big time. "On May 10th, Baz Luhrmann's new film adaptation of F. Scott Fitzgerald’s literary masterpiece ``The Great Gatsby’’ hits theaters nationwide starring Leonardo DiCaprio, Tobey Maguire, Carey Mulligan, Joel Edgerton, Isla Fisher and Jason Clarke. The official premiere of the film kicked off at a star-studded event at Lincoln Center on Wednesday with a dazzling 3-D spectacle. ``The Great Gatsby’’, written by Fitzgerald while living with his wild and mentally unstable wife Zelda in France and Italy in 1924 and early 1925, tells the tragic story of Jay Gatsby (born James Gatz), once a poor young man who rose to become fabulously rich (through bootlegging) embraces a corrupted form of the American Dream by worshiping the monied class of Daisy Buchanan, a former flame of his while enlisted in World War I. Gatsby finally meets her again for the first time in five years and ultimately becomes destroyed by pursuing what he naively thinks will bring him happiness and fulfillment. The theme of disillusionment with American contemporary culture and its fraudulent emphasis on wealth and power are common threads found throughout the novel. But probably ``The Great Gatsby’s’’ most enduring impact was educating succeeding generations about the roaring 20’s, namely about jazz, gambling, excess drinking, and reckless living. Whether the film meets with upbeat praise or is scorned by critics; the film will more than likely cause film goers to dust off ``The Great Gatsby’’ from their bookshelves or dash off to the library or their Kindle’s to reread what is now considered the Great American novel. "It's all 14 carat gold, I swear! In a fascinating wrinkle on the self-publishing scene, three writers are suing Penguin's newly acquired Author Solutions after having paid thousands of dollars for “developmental” packages that included bogus editing and marketing services which were either substandard or simply not delivered at all. "The company's true business is not publishing, the complaint stresses, but selling services to authors." Given the recent rush of conventional publishing houses into the former territory of vanity presses, it will be interesting to see how this suit plays out. To a certain extent, agents deserve their reputations. Agents are middlemen. They don't create, they don't publish, they simply pass along the work of others. Agents don't have to understand the finer nuances of what you've written, or grasp the subtleties of your prose. They don't even have to like your work (although it helps). All an agent really has to do is sell your book to a publisher. In order to do that, he or she must convince a publisher that your book is the best thing since sliced bread. This is where the writer and the agent often find themselves at loggerheads. Writers want to be appreciated by the person who represents them. We want them to love our talent, to wrangle the best possible contract out of megalith publishing houses, and we want them to ensure that lots and lots publicity and attention will be lavished on our work. In short, we want to have our cake and eat it too. 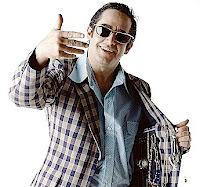 We want the agent to be both an admirer and a salesman. They don't call. They don't write. So, where's the love? Michael Larsen, in his revealing book, How to Get a Literary Agent, says that, “as a writer, you are the most important person in the publishing process, because you make it go.” This is quite true. However, if writers are like cars, then agents are the gas. (Or if agents are like cars, we are gas. Dumb analogies work in any order.) The point is that without an agent, we may as well not exist, as far as publishers are concerned. Agents are aware of that fact. And that is why agents are harder to snare than a publisher. This is also why they insist that you compose a “perfect pitch.” The query letter, or “pitch,” is not just a brief summary of your work and credentials, it is the script for what your agent will later tell an editor. And it is the script for what the editor will tell the publisher. If you feel as if you are doing their work for them, you are. But you are a writer, so man up. Realistically speaking, agents aren't there to hold your hand. They are there to make a buck, which they can't do without you. The good news is that they know how to do that job a lot better than anybody else. Securing a publishing house is still the grand prize – even in this age of 200,000+ (and counting) Indie authors, KDP Select promos, and whiz kids with six-figure incomes from ebooks they wrote in less than a month during study hall. Nothing will give you as much cachet as being published by one of the big five. Even the mid-size houses will give you a pedigree you simply cannot get from self-publishing. An agent can get you there. Secondly, negotiating a contract is not something you want to do on your own, no matter how many books you have read on the subject. Publishing contracts are written by lawyers who are paid a lot of money to keep the best interests of the publishing company in mind. As a consequence, publishing contracts are designed to ensare, confuse, and bludgeon writers into submission. (Trust me, after reading 17 pages of legalese, you will want to run, screaming, back into obscurity.) 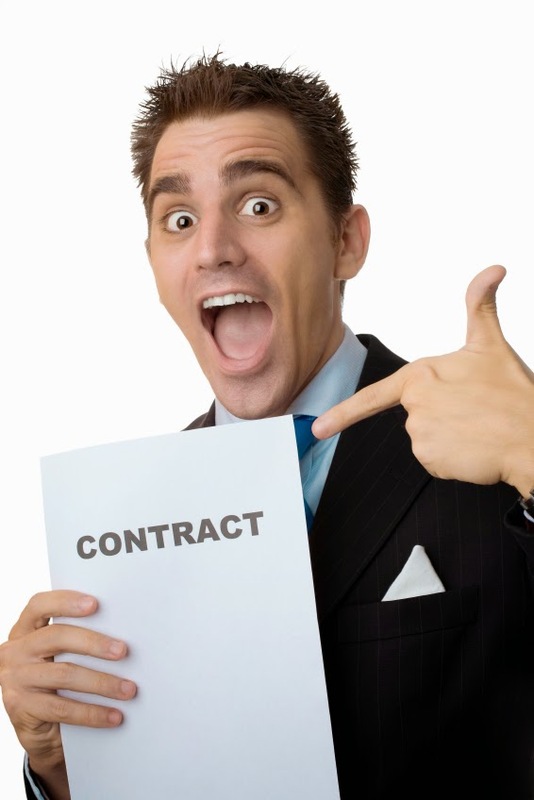 Your agent, because he or she has done this before, will know which clauses to strike out, when to ask for more, and how to convince the publisher to comply with your best interests. The last thing that agents do is teach you how the publishing business really works. This may be the most important thing agents have to offer. 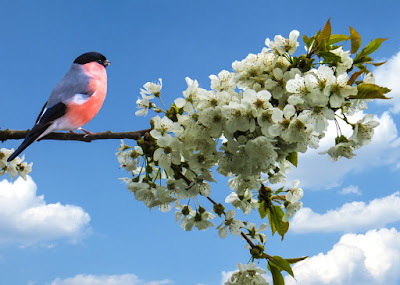 The entertainment business, of which publishing is a part, is based on mythology: Talent is “discovered,” hard work is rewarded, and stars are delivered by the stork. People who have not been exposed to the inner workings of the publishing world have no concept of how labyrinthine, how medieval, how disorganized it actually is. Your agent knows, because chances are good that he or she was once an editor. This is a business that is run on daily memos, and is dominated by people who understand how to juggle the system. Nobody understands that system better than an agent. If you pay attention, you can learn everything you need to know about publishing from an experienced agent. As a writer, that knowledge will prove, not just useful, but invaluable. These three books will help you understand agents, and what they can actually do for you. I guarantee you will benefit from reading them. Larsen's book is pure gold. Make sure you read every word before you contact an agent. 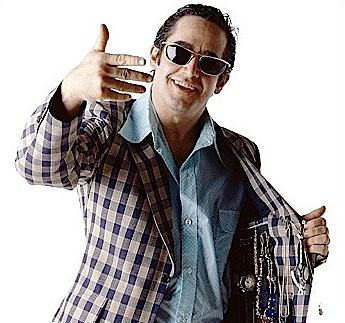 Jeff Herman asked agents to describe the “client from hell.” Read these descriptions. Any year of this publication will do. Make sure you read the sections on advice to writers from agents. Ida Pollock (April 12, 1908 – December 3, 2013) wrote her first novel when she was just 14, and at age 105 she was still writing romance novels. 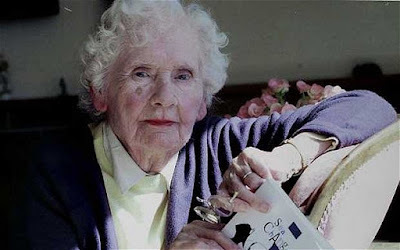 Writer Ida Pollock was today hailed the world's oldest romantic novelist as it was revealed she is still producing steamy books at the age of 105. "Ida has written 123 novels during her prolific career - many of them tales of virgins, chaste kisses and dashing male heroes. Ida has sold millions of books over nine decades with risque titles such as 'White Heat' and 'Interlude for Love'. She has millions of fans but has largely avoided the limelight by writing under ten different pseudonyms. Ida has written 70 books for Mills & Boon under the names Susan Barrie, Pamela Kent, Rose Burghley or Mary Whistler. Despite turning 105 last week Ida is still writing and her latest novel The Runaway is due to be published shortly."